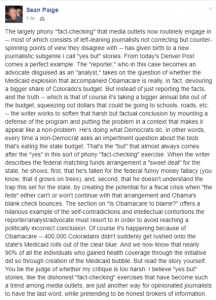 At a time when the president of our country sets an example as a liar who refuses to correct his own brazen falsehoods, Colorado State Rep. Susan Lontine (D-Denver) should be considered a hero for deleting a fake news item that she shared on Facebook earlier this month–and taking public responsibility for the mistake. 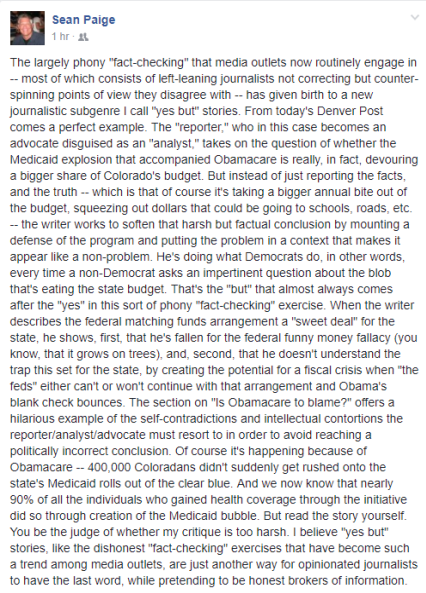 In removing her post, deemed “false” by Snopes, Lontine joins two other Colorado lawmakers who’ve done the right thing and removed fake news from their Facebook pages after being alerted to its fakeness. In December, without commenting, two Colorado Republicans removed fake news from their Facebook pages (State Rep. Polly Lawrence of Roxborough Park and former State Rep. Kit Roupe of Colorado Springs). Two other Republicans said they would not remove it (former State Rep. Gordon Klingenschmitt of Colorado Springs and State Sen. Tim Neville of Littleton) And two did not respond to my request that it be deleted (State Rep. Ray Scott of Grand Junction and former State Sen. Laura Woods of Arvada). Earlier this year, U.S. Rep. Jared Polis (D-CO) removed a tweet without comment. Lontine, however, did more than just delete the post. She owned the mistake. Folks, yesterday I posted a picture of President Trump and his parents that looked like his parents were wearing KKK outfits. Turns out, the picture was photoshopped to look like that. I posted it without checking its origin or veracity. I posted it because it confirmed my biases. I hold myself accountable to not spread fake news of any kind and thanks to those who held me accountable. The response to Lontine’s correction on Facebook has been positive. “This is why we love and trust you… you are always honest” wrote one commenter. Lontine is a model for all lawmakers. She did exactly what all of us want and what the country badly needs at this moment. She’s showing us that anyone can make a mistake, even our leaders, and it’s honorable to make corrections. In response, we owe her our admiration–especially against the backdrop of Trump’s brazen lying. For those of you who think I’m praising Lontine too much: Normally, you might be right. This should be leadership-101 behavior. But it shows how far our political discourse has fallen that a politician deserves such high praise for the simple act of correcting herself on Facebook. Yes, we’ve hit that low point. Now we need a wave of lawmakers to act responsibly and correct themselves, if they spread fake news. Imagine if all politicians, including Trump, would do so. You are currently browsing the The Big Media Blog weblog archives for August, 2017.